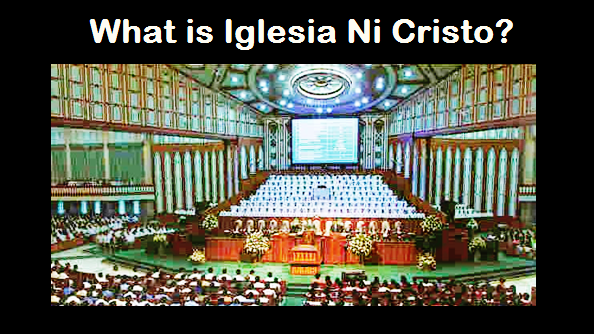 THE IGLESIA NI CRISTO: Are INC members prohibited to read the Bible? IGLESIA NI CRISTO (Church Of Christ) members are not in anyway prohibited to read the Bible, instead all embers are encouraged to read the Bible. We have the family hour which one of the main activities is Bible reading. Many members of the Church own numerous copies and versions of the Bible. Every household is encouraged to own at least one copy of the Bible. Bible reading is introduced to members of the Iglesia Ni Cristo (Church Of Christ) as early as one learns to read and write. We have millions of members of the Church Of Christ all over the world testifying to this fact. Now, saying that the Iglesia Ni Cristo members are prohibited to read the Bible because Iglesia Ni Cristo embers go to church without a Bible in hand is absurd. Catholics generally go to church without a catechism in their hand, thus, is it right to conclude that Catholics are prohibited to read catechism? Protestants go to church without Greek and Hebrew Bibles, thus, is it right to conclude that Protestants are prohibited to read Greek and Hebrew Bibles? Anyone can bring a copy of the Bible as he attends the congregational worship services of the Church Of Christ. No one will prohibit him. There are members and non-members of the Church doing it in different congregations of the Church. One of the Iglesia Ni Cristo (Church Of Christ) religious gatherings in Mexico where we can see many have their own copy of the bible in their hands. Truly, one can bring a copy of the Bible in attending congregational worship services and other religious gatherings if they wanted to. There is no such prohibition. But, why Church Of Christ members generally don’t carry a Bible to church? Not because they are prohibited to do so, but because the common practice in our Church is that members of the Church write down or try to remember the verses while they listen to the lesson, and review and study the verses at home using their own Bible. Bible reading is one of the integral part of our congregational worship service. The minister as he delivers the lesson answers every question in the lesson through directly reading the verses of the Bible (there are numerous copies and versions of the Bible in every congregations of the Church). He does not personally interpret the verses nor tell a story around it. 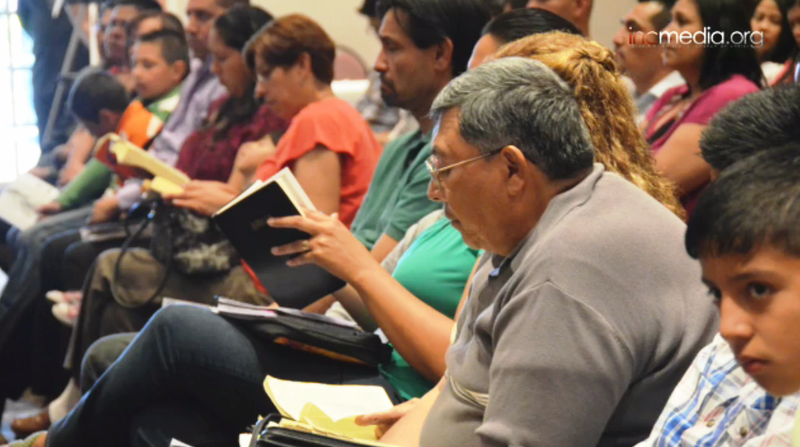 Thus, to continually follow the lesson, the congregation listens attentively, and just jot down the verses to personally read and study the verses at home using their own Bible. Thus, members (and even non-members) of the Church Of Christ are not prohibited to bring their own Bible to the Church if they wanted to. There is no such prohibition.